Categories: Alan Williams & Alison Whybrow, Economy, Management. Every company has its own values and brand which it wants its customers and clients to engage with and develop loyalty to. At the same time, research shows that 70% of customers’ brand perception is determined by their experience with the company’s employees. Moreover, 41% of customers are loyal because of good employee attitude. This book shows how companies can translate their values and brand into the daily practices and behaviour of their employees, especially those who must deal directly with customers. 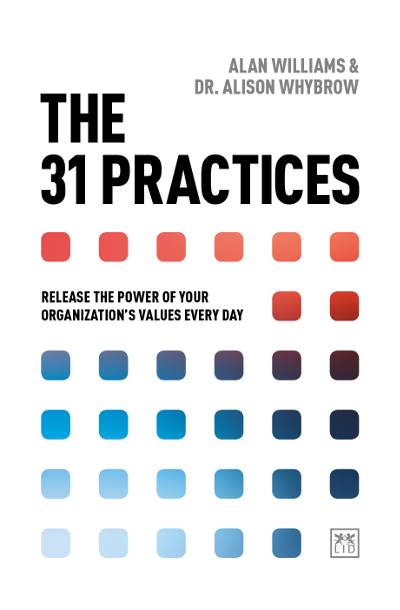 Drawing its principles from psychology, sociology, philosophy, neuroscience and leadership, the 31 Practices method has been successfully adopted by large and small companies around the world, and has been responsible for significantly enhancing customer satisfaction and loyalty. How companies can improve customer service and enhance brand loyalty through their employees. ● New thinking on customer service based on principles from psychology, sociology, philosophy and neuroscience. ● Tried and tested approach worldwide, including the acclaimed Ritz Carlton hotel chain. ● Aimed at managers, executives, HR professionals who are seeking a better connection between their company and customers. ● New paperback edition of an increasingly influential book in HR and management.